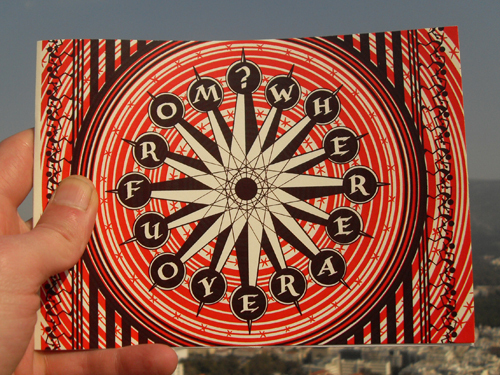 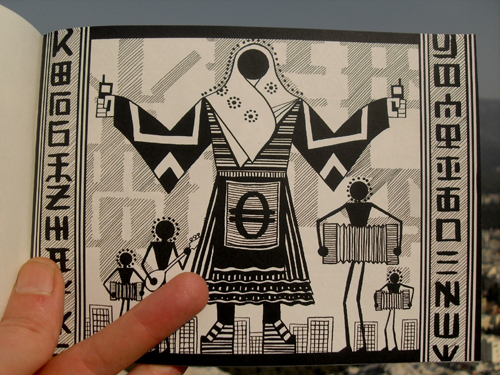 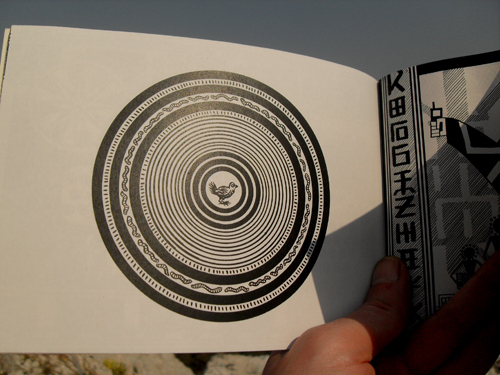 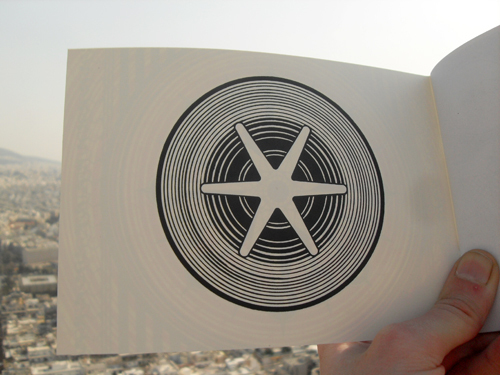 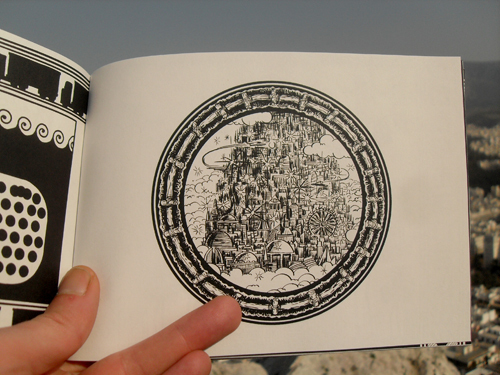 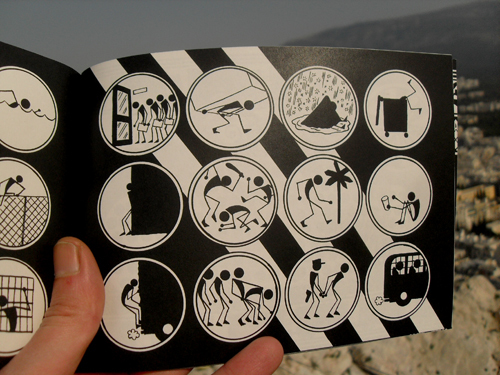 The drawings and book were produced in Athens, Greece from December 2011 til March 2012. 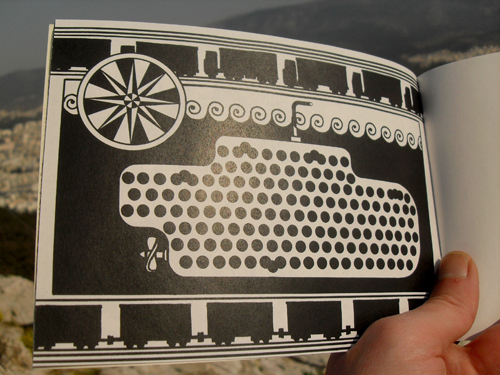 Stylistically the pages are based on vase-painting produced in the region of Athens around 700 BC, the Late Geometric Era. 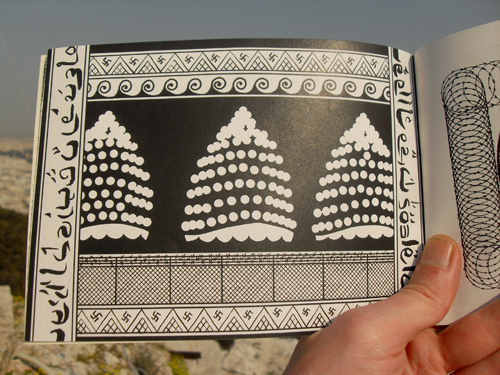 These vases were used in burial ritual and depicted scenes of the mourning and the social status (number of slaves in possession) of the deceased.